Create a web presence you can be proud of! Creating and maintaining an effective classroom website doesn't have to be a monumental task. With proper planning, you can create a useful and impressive website that will take simply 5-10 minutes a few times a week. In this workshop, we will explore elements that make a classroom website useful and effective! We will review some great classroom websites, create an organizing structure and plan for your website and engage in supported time to turn your plan into a reality. Participants will either use the webpage design tool from their district or they will learn create their webpage in Weebly. Discuss elements of an effective classroom website. Determine what you would like to include in your site. Create a plan for your site. Learn how to create a site and add these elements. Supported work time to create your awesome classroom webpage! You will explore many classroom websites to identify elements and qualities that make classroom websites effective and ineffective. You will record your ideas on the Padlet walls on this page. ​We will work our way through the Classroom Website Planning Page together. 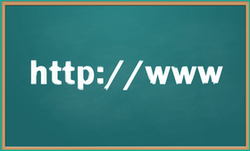 If you are not using your district web hosting service, you will create a Weebly site. Here is a link to their Help Center ​if you have questions after today. We will spend the remainder of the time creating sites. When you are done please post a link to your site in the chart below.